Science DAY SHOW AND WORKSHOPS? Look no further! Fun and educational Science WORKSHOPS FOR PRIMARY SCHOOLS! Are you looking to organise a school science day?! Journeys is the British Science Week theme for 2019! We have specifically created our new workshops coupled with our new assembly show to kick-start the hands-on workshops with our incredible WOW-factor. Suitable for primary school children of all abilities and ages (EYFS – Year 6), and falling in line with the British Science Association 2018/19 theme “Journeys”! 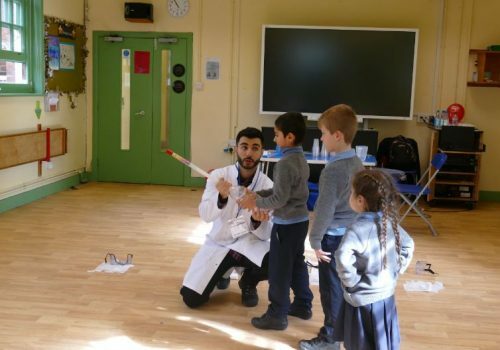 Our team of science mad leaders know how to bring science to life in a way that engages and inspires young audiences, and our curriculum-linked science programmes mean that budding eggheads might even gain a little education along the way! It was great! The children were excited and fully engaged during the assembly (Reception - Yr6). There was just enough content in the workshops for the children to learn at their level (both KS1 and KS2) and not feel talked down to or have information go over their heads. The teachers all enjoyed Rob's deliveries and our head has already asked at staffmeeting on Monday after school whether we shouldn't get a booking in for next year! The professor was extremely flexible with the timetable, grouping and venue and this meant that students were able to get the most out of the sessions. Staff and students had a great day! Was fantastic! Rosie was fantastic and was great at pitching each workshop for the year group. All children were engaged and enjoyed their session. Children and teachers gave great feedback from both the assembly and the workshops. All of the children and adults throughly enjoyed the assemblies and activites. They were engaging, fun and had the WOW factor. Pete was great with the children too! Brilliantly!! The guy running the day (Rob) was fantastic with the children and staff alike. Welcome to our online science lab! Looking for Science Day Workshops for your school? Want to bring science lessons to life? 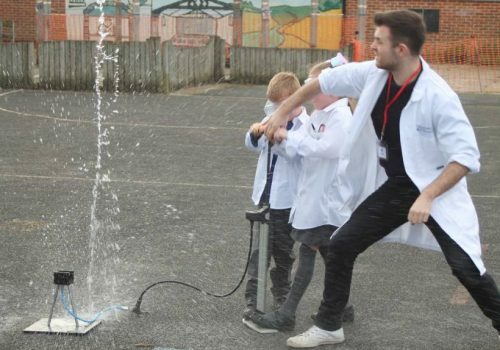 Our Early Years, KS1 and KS2 science show and workshops are an opportunity to really bring science and STEM learning to life for all pupils, with exciting hands on experiments for students that fire the imagination and curriculum linked learning that is both friendly and fun. Our new monthly Science Box Subscription service brings Science directly into your home. Our team of dedicated scientists have hand selected awesome experiments to inspire your child and supplement their learning in line with the curriculum. Each box contains an exciting array of equipment that is safe for your child to use with some supervision. Our Health and Fitness workshops have been developed to help tackle the growing obesity crisis in the UK. 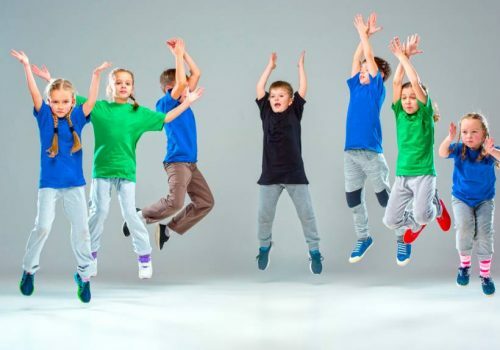 Workshops have been designed to educate about healthy eating choices and inspire your students to get up and move. We ask students to record their results and aim to set some measurable and realistic goals for their future. Want to offer more opportunities for children to explore the subject with curriculum linked science fun after school? Our after school science clubs are a great way to encourage a greater interest in STEM subjects - with hands-on science fun aims to inspire young minds and push pupils to explore more!